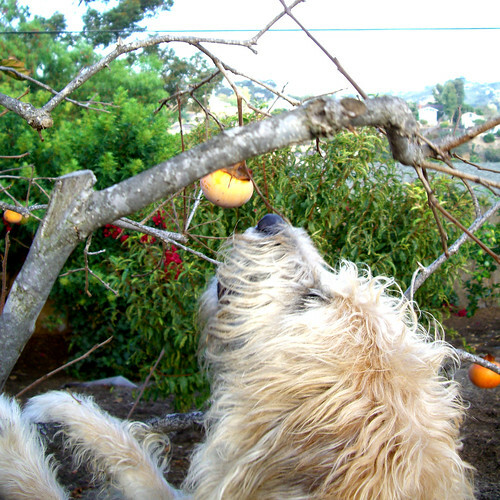 Like a deer foraging for food, Henry stands on his hind legs to reach the fruit on our persimmon tree. He carries his pickings to a safe location -- usually that location is under my dining table on my cream carpet -- and chows down. I know it's not a great shot but I had to show you his huge fuzzy paws stretched up on a tree branch.